The issue of whether termination clauses contained within employment agreements will be enforceable is one that routinely arises. As I have discussed on many occasions, many employers weaken their legal position by entering into a verbal agreement, or presenting an “offer letter”, and then subsequently asking their new employee to sign a far more detailed employment agreement that is designed solely for the benefit of the employer. In those cases, the brief written or verbal agreement constitutes a binding agreement at law, and cannot be replaced unless both parties receive some sort of consideration. As a result, in the vast majority of cases, the contract that is entered into later on will not be enforceable. What about a situation where the employee signs a brief offer letter which explicitly states that they will be required to sign a more detailed employment agreement before the commencement of their employment? This was the situation that was recently addressed by the Ontario Court of Appeal in Holland v. Hostopia.com Inc. In that case, Mr. Holland was hired to be a National Account Manager and was presented with a two-page offer letter on May 13, 2003. 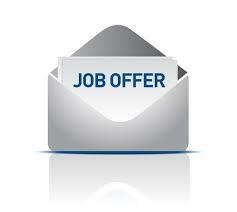 This offer letter set out some of the key terms of employment, such as salary, commissions and benefits. The offer letter also indicated that acceptance would be accomplished by Mr. Holland returning a signed copy of the letter and “the subsequent signing of an employment agreement”. There was no mention of any provisions regarding termination of employment. Mr. Holland commenced his employment, and many months later, was presented with a detailed employment agreement, which he also signed. Not surprisingly, the employment agreement contained far more extensive terms than the two-page offer letter. Among them was a termination clause which purported to limit Mr. Holland’s entitlement to notice of dismissal to the minimum required by Employment Standards Act, 2000. Without fresh consideration, the Employment Agreement could not displace the implied term of reasonable notice contained in the Offer Letter. The result is that the appellant was entitled to reasonable notice of termination at common law. The Court of Appeal confirmed something that I have been saying for years, but which many employers fail to appreciate: contracts can take many forms, from lengthy, legalistic documents to offer letters, handwritten notes and verbal discussions. Once there is an offer and an acceptance, a binding agreement exists. In this case, once Mr. Holland accepted the terms in the Offer Letter, there was a complete contract of employment. Such a binding agreement cannot simply be replaced by a new agreement; rather, both parties must receive some form of consideration. The problem is that in almost every case, the new, thorough employment agreement is for the sole benefit of one party, and the other party does not receive anything in exchange for agreeing to be bound by it. As a result, it will not be enforceable, as the defendant found out in this case. This decision is not surprising, but does address one “loophole” that some employers attempt to rely upon. The bottom line is that employers should never enter into any binding agreement until the candidate has accepted all of the terms and conditions that are important to them. Those should be set out in a detailed employment agreement, which should be presented to the candidate, who should then be given sufficient time to review the offer and seek legal advice if they choose. Using an offer letter, or entering into a verbal agreement, and then having the employee sign a more detailed employment agreement simply creates a situation where there are two binding agreements in place. The lack of consideration for the second agreement will work against the interests of the employer, as will the inherent ambiguity created by the two contracts. Any confusion or ambiguity will be interpreted contrary to the interests of the draftor, which will inevitably be the employer. Employers should keep things simple by waiting until a detailed agreement has been prepared, and then presenting that to the candidate of their choice, making it clear that they will not have been hired until they indicate their acceptance of the terms and conditions by signing. While I appreciate that many employers seem to feel as though they do not have the time to proceed on this basis, they only succeed in harming their own business interests by proceeding otherwise. Three popular articles this week on HRinfodesk Ontario government ramps up AODA enforcement – Is your organization compliant? Usually, the employee does not receive anything in exchange for signing the new agreement. If they do receive some consideration, then the legal situation would be very different. Consideration is anything of value, such as a pay raise, one time bonus, new benefit, or additional vacation. It must be something the employee would not have otherwise received. Typically, the employee does not get anything new when they sign the new agreement. If something of value is offered, that would change the legal scenario entirely. Something of value can include a new benefit, salary increase, additional vacation, one time bonus, etc. But it must be something the employee would not otherwise have received. Was there really no consideration (or benefit to the employee) in the “far more extensive” employment agreement? One would think there must be something there that provides some benefit to the employee. Would elaboration on benefits count? Insurance? Set number of hours? Overtime rate? Would any of these suffice as consideration?